Sick of coming back home, nearly suicidal, and seeing your idle kid glowing, arrogantly mocking your responsibilities and busy lifestyle? Well, the revenge time has come - now you can send those losers to school. Good for you, parents, and, also, good for businessmen, because all kidding aside, the 1st school days period brings some incredible profit opportunities. In US alone, it is expected to rake in the astonishing 828 billion dollars this year. Who wouldn’t want a slice of that? Almost Christmas like shopping frenzy is happening, so no shop owner, who considers himself relevant, should keep aside. 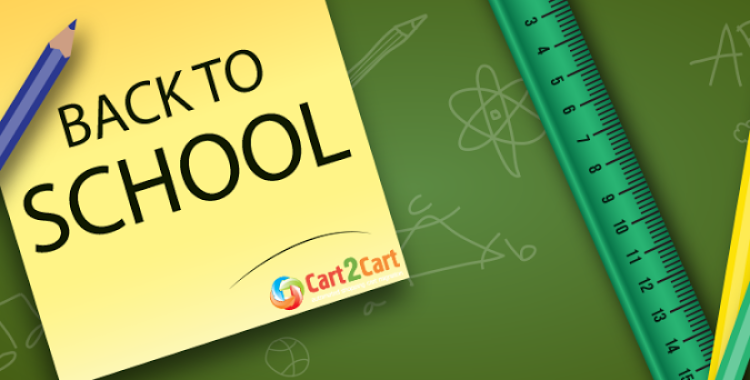 To acquaint you even more with what back-to-school days mean for the e-Commerce world, check out this colorful infographic from The Shelf, filled with useful advice and statistics. Hopefully, this has reminded you of some useful marketing/sales tips you forgot, or gave inspiration to implement new ones. Good luck and have a happy back-to-school day!